THIS KIT IS EVERYTHING YOU NEED TO BUILD AN AR-15 EXCEPT A STRIPPED LOWER. The receiver is a flat top M4 Mil-Spec upper receiver are forged CNC Machined from 7075-T6 Aluminum, the hardest and most durable material of any upper! This 16” 7.62×39 barrel is made from 4150 Chrome Moly steel, and has 1:10 twist rate. This incredible rail has 200% increase in keymods, so your attachment position options are endless! The rail is a 15” Hera Arms Unmarked Free Float Keymod rail made from Airplane Aluminum and then hard coat anodized to improve the strength! The barrel is one of the few components that directly affect the accuracy and weight of your build. Designed for corrosion resistance, this barrel will not let you down. This barrel is machined from 4150 Chrome Moly Steel, heat treated to RC 28-32 hardness, and properly stress relieved. This barrel has a phosphate finish for increased strength and durability. It is chambered 7.62×39 chamber, with a 1:10 twist rate. This is the perfect barrel for an AR15 build, keeping weight to an absolute minimum, while still offering a significant ballistic advantage. CBC AR-15 rifle kits present you with an opportunity to acquire an AR-15 rifle at a discounted price by enabling you to take on the assembly process yourself. 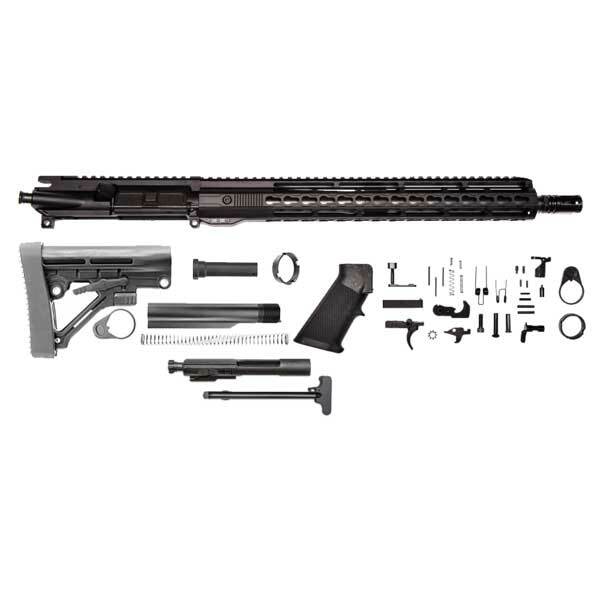 We provide a versatile selection of AR-15 rifle kits in multiple calibers and configurations. Our AR-15 rifle kits offer superior quality, dependability, and performance that will satisfy the most demanding shooter. The quality of our AR-15 rifle kit parts are backed by our Lifetime Warranty – if any component of a CBC rifle kit becomes defective, CBC will repair or replace it at no charge.